In this article based upon Calgary real estate, I'll speak on the topic of 13 ways to stage your Calgary condo for sale. Hi, I'm Crystal Tost, with 18 years of experience and proven results proudly helping buyers and sellers, I am your best asset for success in the Calgary real estate market. If you're interested in buying a Condo, view Calgary condos for sale. I know the entire Calgary real estate market inside and out and have the awards, reviews and testimonials to back it up. As an award winning Calgary REALTOR®, I can help you with all aspects of Calgary Real Estate. Enjoy the article, leave a comment and feel free to contact me. If you’re simply prepping up for your condo sale, you can actually follow some useful tips that will help you close that deal. Designing your condo to attain a successful staging will need a professionals advice and knowledge. Hence, if you are looking for some expert suggestions, you’ve come to the right place. 1. Display your condo’s strengths while selling your property in no time through effective staging techniques. 2. Impress your potential buyers with a more focused strategy in remodeling. You can use smart updates to help you create your condo more unforgettable to people. Make sure to increase your chances to successful sale with effective remodeling. 3. If you’re selling within a specific season, make sure you can match the climate and needs of your buyers. You can at least create a buyer-friendly and festive environment based on seasonal ideas for better staging. 4. Prepare your condo for sale with a marketable factor to prospective buyers with professional tips. Successful staging is all about achieving the best price through excellent cleaning and styling. 5. Increase overall appeal while you make sure that every corner is convenient for onlookers. If they spot something that is not so good, they tend to simply walk away. You repaint the whole space if you think it looks far from being modern. 7. It is very important to consider that the entire condo unit is sparkling clean. From gleaming windows and shining floors to scrubbed grout and clean counters. In fact, every surface should literally sparkle. 8. Clear out all the clutter. If you’re really serious when it comes to effectively staging your condo, then all clutter should be properly managed. No one wants to live in a place where clutter is everywhere right? 9. Style the dining room with exceptional decorative items. It doesn’t have to be too luxurious or something but you need to make sure that the whole dining room is appealing to onlookers. 10. Rearrange the furniture styling. Symmetrical arrangements often work effectively. Lamps, chairs, and sofas must be perfectly aligned with each other. Overall, it must create a really inviting place for conversation and entertainment area. 11. It is also vital to opt for neutral and sophisticated colors. Staging is not an experimental effort but you have to be precise with all your actions and choices. Rich mid-tone neutrals such as beige and mocha can make a more modern backdrop color. And thus, the entire space is made to be more inviting. 12. It is cool to create gender-neutral bedrooms. Put some clean linens, blanket and stunning artwork to make the place relaxing and comfortable. 13. Open your closets to help the staging visitors to take a look at the closets. They can actually make or break the staging process. So, it is important to you pay keen attention to these aspects. Always remember this, once people have already seen your condo, you can never take another chance to remake that first impression. So, be certain about how your entire condo looks like. It should be an ideal place that people will surely love to stay in. A good condo stager will create right impression. The key is for you to be fully prepared. Before the staging schedule, make sure that all preparations are made. Apart from it, every corner must be reviewed before the big day, the showing! I hope you enjoyed this article about 13 ways to stage your Calgary condo for sale. 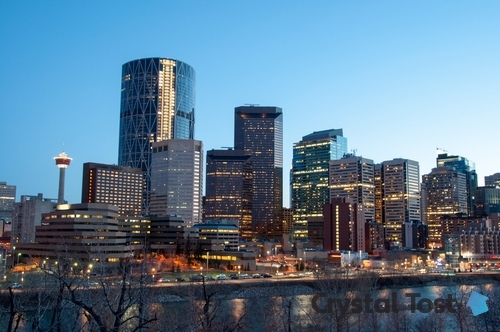 Want to buy a condo in Calgary, view Calgary condos for sale.